Another illustration for Book of Pages that never made it into the final story (drawn sometime around 1991). This one is “Killing Machines”, a page which does appear in the book but whose setting moved from the wilderness near the beginning of the story into the city towards the end. 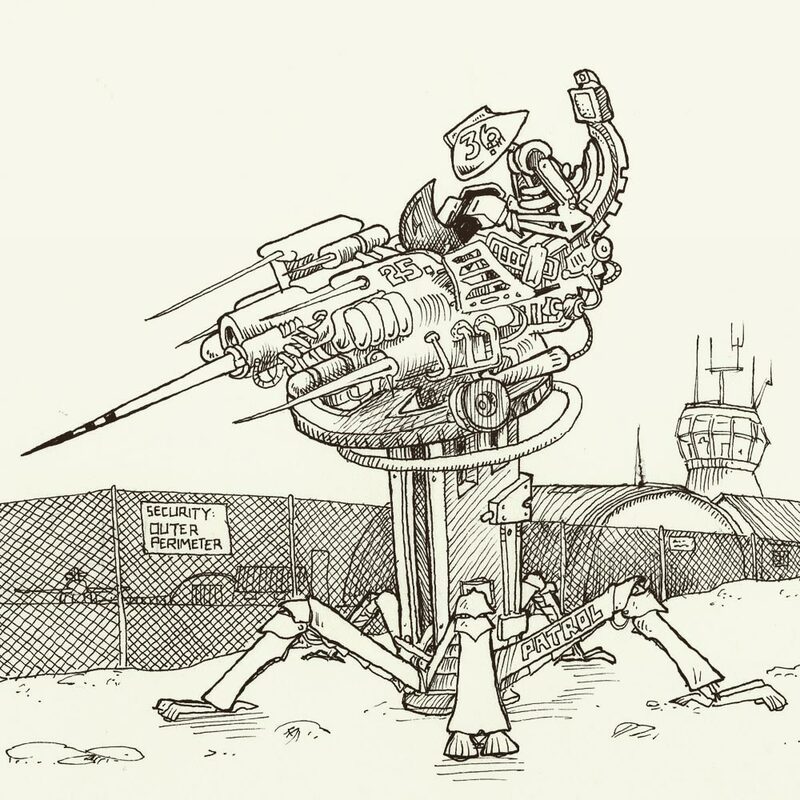 Here Jiriki is seen encountering a killing machine outside the airport from which he is to fly into the Metropolis. In the final version, I made the killing machine human-sized because it better made the point the text was addressing. As it happens, Book of Pages deliberately plays fast and loose with the size of people in all the illustrations, which was a bold decision I’m pleased I stuck with, and one that’s obvious once it’s been pointed out, but which nobody ever called me out on. Maybe everyone saw it at the time and was too polite to mention anything because they thought it was a mistake.